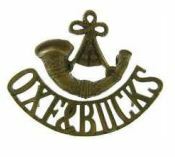 20836 Private George Harry Thomas Crook, was killed in action on the 3rd May, 1917, while serving with the 5th Battalion, Oxfordshire and Buckinghamshire Light Infantry. The battalion was one of the leading battalions in the first day of the Third Battle of the Scarpe, and sustained 299 casualties out of a total strength of 533 officers and men who went into action. Private Crook had been born in Long Crendon in 1898, his father Harry, a farmer and pub innkeeper at The Angel, and mother Ellen, and was one of six children. He enlisted with the Oxford and Bucks Light Infantry in 1915, when still at the age of 17. Posted to France with the 6th Battalion, he was wounded in September 1916 at the attack on Guillemont during Battle of the Somme, and invalided home. Having recovered, he returned to France in January 1917, this time with the 5th Battalion. He would have seen several actions during the battles around Arras, before his death at the Scarpe. 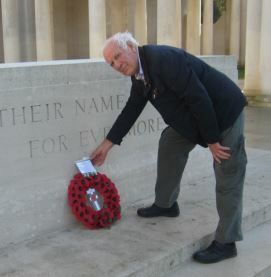 Having no known grave, he is commemorated on the Arras Memorial, and remembered in Thame on the war memorial, as well as on the St Mary’s and All Saints’ church memorial boards.